Financing has made it possible for average, everyday people to fund many projects and achieve unattainable dreams. 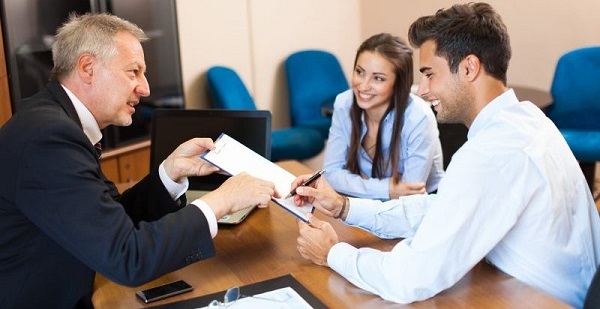 Whether financing a home, car, or other vehicle or opening a business, financing has made it possible to accomplish anything if you have the credit history, income, and assets. Moreover, credit can be obtained through any number of sources. Not only can you receive credit from traditional financial institutions, but credit can also be obtained through online banks and credit unions. Consumers can borrow money to consolidate debt, they can obtain travel loans, they can apply for very low interest personal loans, and they can even borrow money in advance of their regular salary. However, while credit has become a lot easier to obtain, the fine print is still the fine print, and understanding it can help you avoid some of the financial missteps that lead to disaster. Let’s take a look at some things you need to be aware of when you’re applying for a loan to ensure you understand the fine print fully. One of the major things that can impact the amount of money you pay over the term of the loan is related to fees. The first very common fee you might find is the loan origination fee, which is related to the administrative costs to open the account. Another very common fee that is assessed is an application fee, which is like the origination fee in that is related to costs to take the application. Other fees you might assess if you open up a credit card is the annual fee, which is charged to the card for maintenance on the account. Another fee that is assessed, especially with credit cards, is the transaction fee. These fees can apply to just about any transaction you can make while using the card. Common fees that are assessed include using the card at ATMs other than the bank that issued the card. Cash advance fees for withdrawing cash can also add up as well. When using a line of credit, make sure you understand these types of fees because every time you use the card to get cash, you will find yourself paying both ATM and cash advance fees. The types of penalties you might encounter when opening a line of credit, whether it is a loan or a credit card, are related to paying the loan off early or making late payments. While it seems contradictory for lenders to charge a fee for paying off a debt early, the whole point of them lending the money is so they can make money off the interest you pay. If you pay off the loan early, the lender does not earn any money on interest that you paid, so you pay a fee for that lost earnings. Late payment fees are probably some of worst in relationship to borrowing because one could easily find themselves in a situation where an account snowballs out of control. With credit cards, especially, lenders retain the right to increase the interest rate after a certain number of late payments, so you are not only paying a fee for late payments, but you are also being charged excessive interest. When taking out any loan, pay attention to the fees and penalties because they add, in some cases, thousands of dollars to the principal. Every loan begins with a principal amount and the interest rate that accompanies it. However, once you add in the fees and the various penalties, consumers find that they might potentially pay far more than the initial amount and interest. Your best bet against paying more than you have to for a loan is to read the fine print, and carefully.